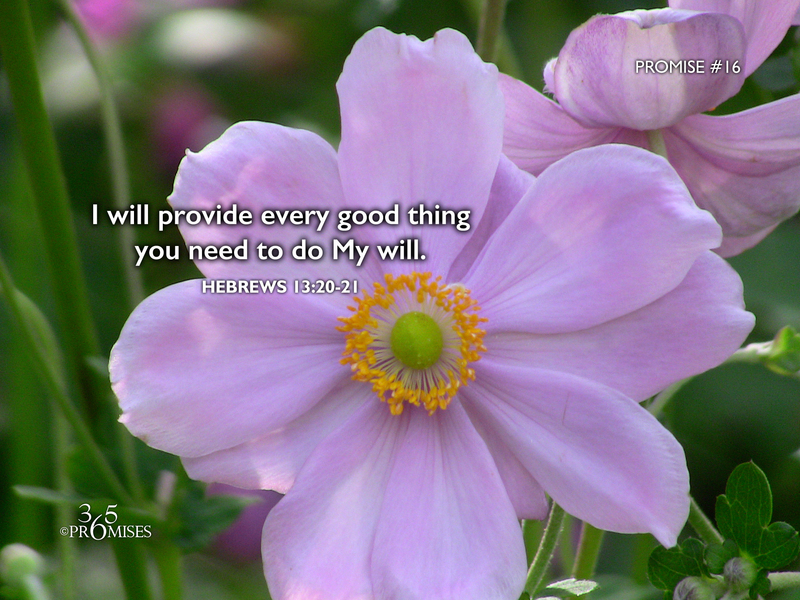 I will provide every good thing you need to do My will. 20 Now may the God of peace, who brought again from the dead the great shepherd of the sheep with the blood of an eternal covenant, our Lord Jesus, 21 make you complete in every good work to do his will, working in you that which is well pleasing in his sight, through Jesus Christ, to whom be the glory forever and ever. Amen. All we have has been given to us from heaven. In James 1:17 the Bible says that every good and perfect gift comes from the Father of Lights. Whatever you need, whenever you need it, will be given to you from your Heavenly Father through the life of His Son that abides in you. We can rest in this promise. We do not have to try and live this life on our own in our own strength and resources. My prayer today is that we would all know that our God and Father promises to provide every good thing we need in order to do His will.